Marlowe’s Edward II both the first great English history play and also perhaps the best work of one of the most brilliant Elizabethan dramatists. 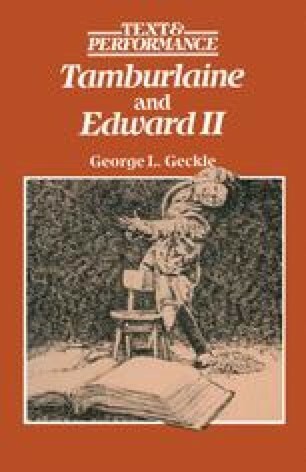 If Tamburlaine can be characterised as the first truly great Elizabethan play, it is also, among other things, structurally problematic because of its ten acts and sense of repetitiveness. If Doctor Faustus can be considered the most intellectually and poetically stimulating of Marlowe’s plays, it is also one of the least satisfying dramatically because of the incongruous low-comedy elements and textual ambiguities. If The Jew of Malta can be enjoyed as the best example of Marlowe’s peculiar brand of humour and usually radical attitude towards conventional Elizabethan mores, it is also the play that leaves us the most confused about the playwright’s attitude toward his characters. Among Marlowe’s four great plays, then, Edward II stands out as the most coherent in terms of structure and as the most complex in terms of the interrelationship between theme and character.